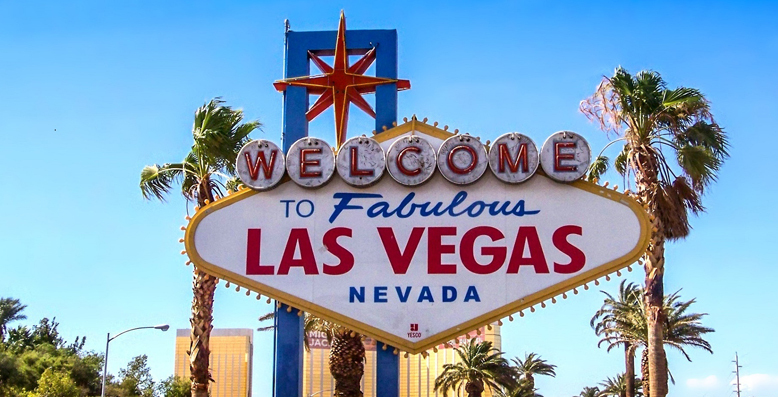 Las Vegas is hot which is why it’s perfect for solar power. Anyone who has been there between the months of June to October knows that the sun can get quite oppressive. Why not make it work for you instead of against you. It’s a desert after all. The whole industry turned around and is now a solar panel hotspot and it is only getting better. We decided to choose a modest three-bedroom one-story house in the Greater Las Vegas area where a family of three lives. Once again our disclaimer is real life scenarios vary all the time, so we are picking hypothetical situations and using averages. In this hypothetical situation, let’s say the average monthly electric bill for the year is about $150. It is more expensive in the summer and fall and drops dramatically in the winter. The family does not have a pool or a hot tub, but they do have air conditioning to handle the heat in Las Vegas. The modest 3 bedroom house is about 1,200 square feet, and it is a new home and it is well insulated against the Las Vegas heat. If we use the HahaSmart Price Checker tool, we can enter the address and the average monthly utility bill. Once we enter the data, it returns some great useful information. The site recommends a 6 kW solar panel system and it gives a breakdown of the cost of the system and all the permits needed. First, you will need the approval of the design and a permit to build the solar system. That engineer and permitting process would cost $798. Then you need to buy all the equipment, the solar panels, the power inverters, the racking to mount the panels, and other miscellaneous items come to about $6,904. If you add the sales tax of about $648 it brings the total to $8,351 in equipment and permitting. How much it costs for solar panel installation? Installation costs can vary, but at HahaSmart, we compiled data from 2296 different installers and we can say the cost range is from about $5,748 to $8,351 to install the solar panels. If we average the two numbers we get $6,594 as an average installation cost. It is important to shop around for the best installer for your needs. Some of the less expensive ones are not necessarily the best ones. On the other hand, many local installers are certified, they care about their work, and they are, many times, less expensive than national chains. If we add the grand total of $8,351 and $6,594 we get $14,945 before local, state, and federal tax incentive programs. Because programs differ in every state, we are only applying the 30 percent federal tax credit. After we add the tax credit, the net cost of buying and installing a residential solar panel system in the greater Las Vegas area is about $10,462. Again it is important to check local and state governments for incentives and help with the cost. NV Energy has the Renewable Generations Incentive, and residential solar qualifies for the program. If a home system is less than 25kW, then you will qualify for a rebate of $0.245 per watt installed. If you have a 6kW system then you are eligible for a rebate of about $1,470 from NV Energy. Nevada also participates in net-metering. Any power that you generate and do not use, the utilities will buy back that power at an avoided cost rate. Basically, this means the same wholesale rate they buy power from other companies. Any credits that exceed the customer's monthly bill are then carried over to the next billing period. At the end of the year, any remaining credits are paid to the customer. This is just part of solar panels paying you back as they generate power. If you take into account in the old monthly bill average of $150, and at least a 20 year lifespan on those solar panels and the cost of the whole system, it is estimated that the homeowner would be able to pay off those solar panels in approximately 5.3 years, with a payback rate of about 18 percent each year. After that, the savings grow tremendously. This is without factoring in any rebate from utilities, or net-metering. How much could you save on electricity costs? After 20 years, a person installing solar panels in Las Vegas could save $45,732 in their total energy costs. 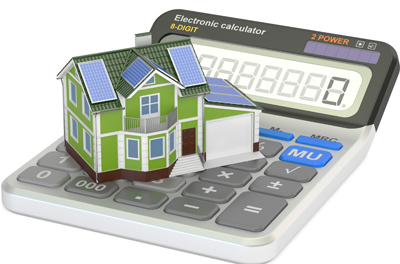 That is without accounting for the increase in the home’s value when solar panels are installed. Of course, all these prices and savings amounts can change slightly when different brands of solar panels and inverters are used, but the general point is that installing solar panels on a home in Las Vegas costs less than most new cars. They also increase the value of the home, they pay for themselves in less than five years, the whole solar panel system can save a homeowner more than $45,732 in power costs, and you can run the air conditioning endlessly in the summer months. Why wouldn’t someone want to go solar if they had the chance? To learn more about how you can participate in the solar power revolution, you can visit HahaSmart, and try out our Price Checker Tool yourself. You can not only see how much a solar panel system would cost, not just in Las Vegas, but in your area too. Enter the information and see how much you can save in the next 20 years. For information relating to going solar don’t forget to visit our solar blog section for more handy guides and articles.